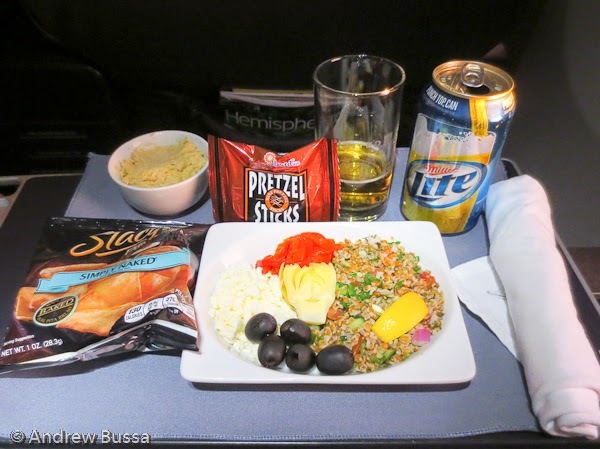 United Airlines serves full meals in first class on flights longer than 900 miles, but don't try too hard for departures after 7:00PM and only offer one cold plate meal option. Here's a recent example of humus and some other stuff. I liked the cold chicken and pasta salad, but I guess budget cuts make every meal the vegetarian option.